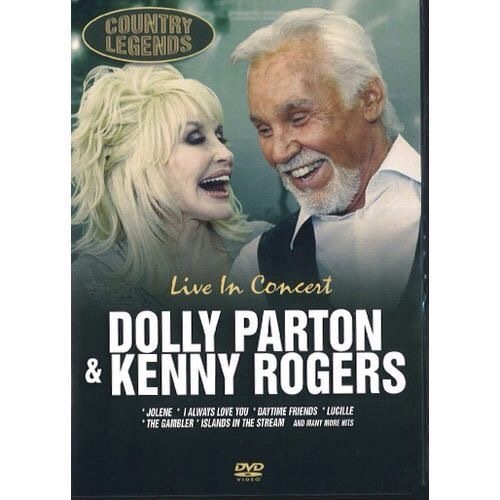 Dolly Parton & Kenny Rogers : Live in Concert DVD. You can order your copy here: Live in Concert the price is $ 12.97 from Walmart Canada. I found this DVD at Walmart Canada, the DVD is region free, so where ever you are in the World , you can see this DVD. This entry was posted in News, Uncategorized and tagged Artis, Canada, Dolly Parton, Entertainer, I Will Always Love You, Icon, Jolene, Kenny Rogers, Legends, Live in Concert DVD, Singer, songwriter, Walmart by dollyfan. Bookmark the permalink. I tried to purchase it, but it won’t let you ship it to the US. Have you been able to figure it out? Wait! Is it a CD with only audio or an actual video where you can watch them sing???? It’s a DVD , you can see them. Amazon in UK have it also, there. It be released August 7, £10 .